Elisa Wallace and Hwin share a momemt. Photo via Wallace Eventing. The preliminary rounds at this year’s Mustang Magic competition in Fort Worth, Texas wrapped up last night, and Elisa Wallace and Hwin were selected to move on as finalists in tonight’s freestyle performance. On Thursday and Friday, Elisa and Hwin competed in the preliminary divisions, including Handling and Conditioning, Trail, and Compulsory Maneuvers. Elisa’s husband, Timothy Harfield, has been keeping up behind the scenes of the action and reported that Hwin was a bit nervous on the first day but that she settled in well on day two. Elisa and Hwin scored a 44 in the compulsory class, which put them into collective seventh place going into the trail class. Riders anxiously awaited the scores to come out this morning from the trail class, which would determine the finalists moving on to tonight’s freestyle competition. 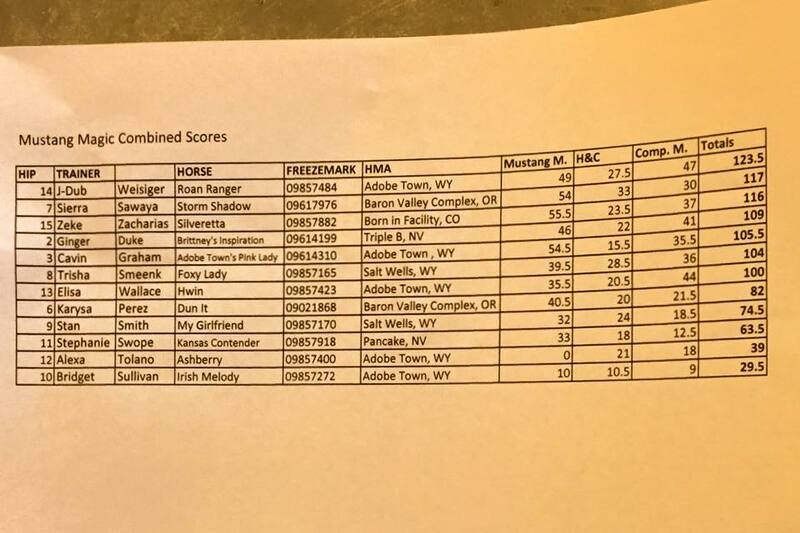 Combined scores going into the trail class. 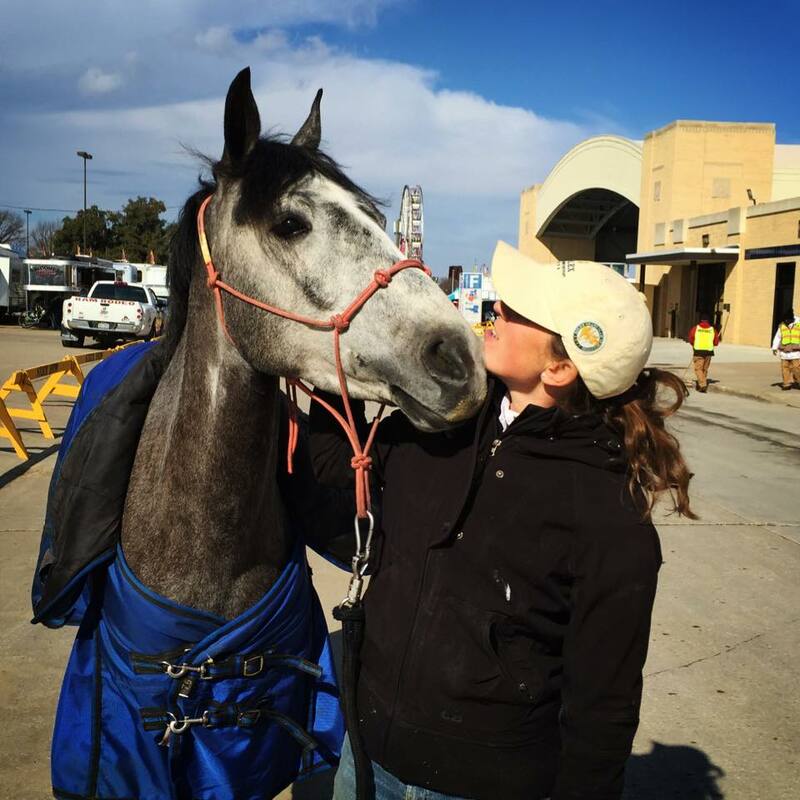 Photo via Wallace Eventing. Shortly after 9 am this morning, Elisa announced on her Facebook that she and Hwin had made it to finals, one of 10 pairs to do so. Now, Elisa and Hwin will put the finishing touches on their freestyle performance in preparation for the final round, which begins at 6 pm this evening. The winners will be announced following the completion of the freestyles tonight, and the event will conclude with an auction for which all horses are available. We’ll be watching social media for the latest updates on Elisa and Hwin. In the meantime, you can follow along on the Wallace Eventing blog and Facebook page, as well as watch the videos below for a recap of the action so far.